The California Assembly Health Committee today approved, by a vote of 16-0, a resolution to encourage statewide policies to reduce children’s exposure to adverse childhood experiences. 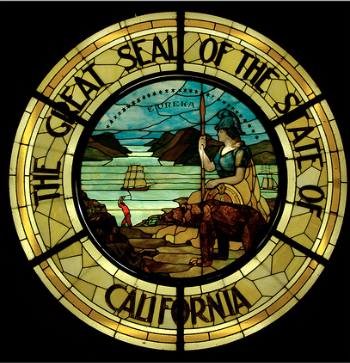 California took a page from Wisconsin’s playbook with the introduction of legislation (California Assembly Concurrent Resolution (ACR) No. 155) on May 28. It drew upon ideas from Wisconsin’s legislation (Senate Joint Resolution 59), approved by the legislature this early this year. Both the Wisconsin resolution and the California proposal encourage state policy decision-making to consider the impact of early childhood adversity on the long-term health and well being of its citizens. Bocanegra, presented the proposal to the Health Committee. Suzy Loftus, chief operating officer of the Center for Youth Wellness (CYW) in San Francisco, CA, and Ben Rubin of Children Now in Oakland, CA, representing two of the three organizations co-sponsoring the resolution, presented testimony at the hearing. The third co-sponsoring organization is Californians for Safety and Justice, in Oakland, CA. The resolution passed with bi-partisan support, gaining the approval of Committee Vice Chair Brian Maienschein and two other Republicans. Neither bill authorizes new programs or imposes mandates, but both provide an important framework for state level decision-making that is informed by the findings of the Adverse Childhood Experiences (ACE) Study. The resolutions in Wisconsin and California are natural extensions of already robust ACEs-related and trauma-informed programs and policies in those states. The resolutions also serve an invaluable educational purpose. As the prime sponsor for the Vermont ACEs bill, Dr. George Till, said that the “Whereas” section of his bill was a place to highlight the most compelling data on the science of trauma and how early adversity impacts long-term health and well being. In some ways, he said, the “Whereas” section is as important as the rest of the bill. The organizational co-sponsors of the resolution added punch to the introduction of ACR No. 155 by organizing a hearing on May 29 to explain the bill and to begin building support for it. As the resolution wends its way through the legislative process, it is part of a process that could lead to other legislative proposals to shape what the state should do to reduce childhood adversity. In a posting about the event, Loftus said “This hearing is a crucial step towards raising awareness of toxic stress and its impact on the developing brains and bodies of our kids and young people­–––and an opportunity to identify solutions.” In an interview after the hearing, Loftus said the Wisconsin legislation was an inspiration for resolution. She said California is a diverse state and one that cares deeply about its children. According to Loftus, they have taken a scientific approach—beginning with awareness and facts and a scan what other states are doing—to understand of the impact of ACEs and develop interventions. The collaboration involving the three organizational co-sponsors of the legislation first began at a California Endowment grantee meeting in October. 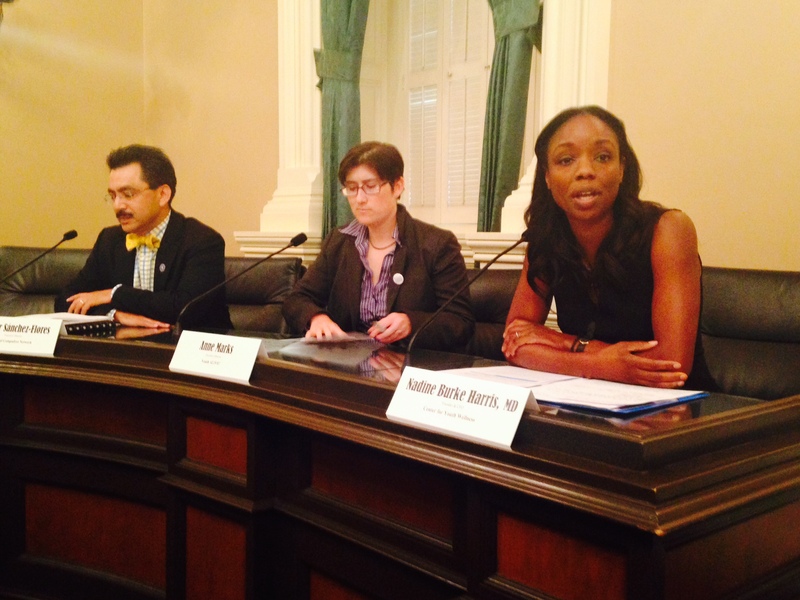 Dr. Nadine Burke Harris, founder and CEO of the Center for Youth Wellness, testified at the hearing and according to Loftus, “spoke from the heart” about the need to screen for ACEs, prevent them whenever possible, provide opportunities for healing when they do occur. For additional information on the resolution, including the Assembly Health Committee analysis, go to leginfo.ca.gov and search for ACR 155. The audio of June 17 hearing should be available through this link: http://ahea.assembly.ca.gov/hearings. The Wisconsin and California resolutions add to the growing state-level momentum behind ACEs and trauma-focused policies and programs. Earlier this year, Vermont passed a limited but meaningful provision in a larger health bill to evaluate whether ACE-informed medical practice should be included in the state’s health plans. An update on the implementation of the first ACEs law passed in 2011 in Washington State will be posted here soon. I am on these emails – thanks for forwarding. Texas is SO behind!